Like its predecessor, the new HTC One (M8) handset has been a huge critical success, but unlike the 2013 model those positive reviews appear to have translated into sales. On Thursday the Taiwanese mobile manufacturer announced a return to profits, following a run of three straight quarters where it lost money. Largely off the back of HTC One M8 sales the firm made $75.5m (around £44m, AU$80.7) in the three months leading up to June 30. That's up 80% on last years numbers, which coincidentally was the last time it added any cash to the coffers. The key for now will be for HTC to sustain it for the rest of the year. That would offer an indication that the One (M8) and the follow up HTC One Mini 2 had some staying power. The company is yet to disclose how many units it has sold, but is telling the world the M8 is outperforming last year's model. 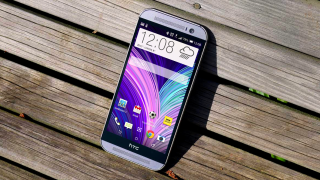 Is the HTC One M8 enough to stop it going all BlackBerry for HTC? Let us know your thoughts in the comments section below.